During a ceremony for the Catalan Sports’ Celebration, Jordi Alba revealed that he feels confident Barcelona can win the third treble in history. Given how well FC Barcelona is doing right now in all competitions, it’s not crazy to think that they could win their third treble in history, or at least that’s what Jordi Alba thinks might happen. The Catalan club was able to reach this achievement for the very first time under Pep Guardiola back in 2009, when they defeated Manchester United in the Champions League final that was played in Rome and ended up winning an impressive six titles throughout all of 2009. It was six years later when the Cules were able to win their second treble in history, they did it under manager Luis Enrique and they defeated Juventus in the Champions League final that was played at Olympiastadion in Berlin. But since then, the Catalan club has been completely unlucky in the European competition as they have been eliminated either in the round of 16 or the quarterfinals by relatively accessible rivals. 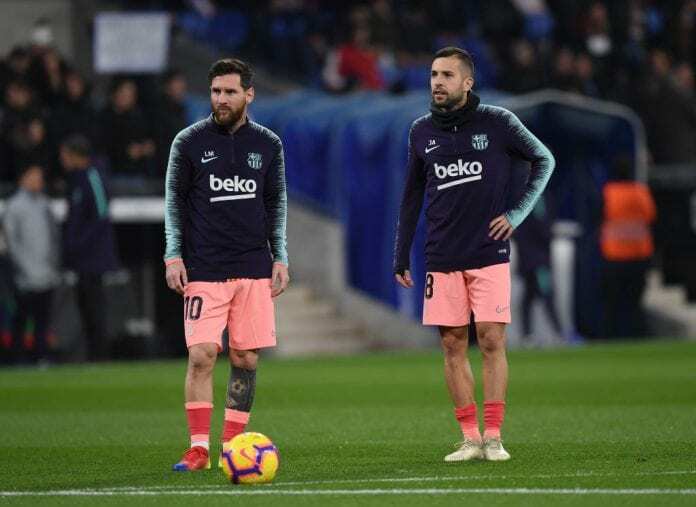 But people like Jordi Alba seem to be confident on this year’s chances, especially with the chemistry that he has with a Lionel Messi that seems to be on fire this season, the Catalan player spoke to the press about their chances to win it all again this year. It was during a ceremony for the Festa de l’Esport Catalá (The Catalan Sports Celebration), where Jordi Alba spoke to the public when he was right next to president Josep Maria Bartomeu. As he received the award for Catalan Sportsman of 2018, Jordi spoke about what he expects for this year with FC Barcelona, he spoke about his future in the club, and he also explained the reason he has such inexplicable chemistry with Lionel Messi when they play together at the club. “Barcelona is the club of my life. I was there since I was eight years old, but I had to leave and then come back later,” said Jordi via Diario AS. “I obviously have improved as a player. But I feel that I’m the same as a person. I would obviously love to win the treble. We are going to try it this year, although we know it is going to be very difficult,” he concluded. 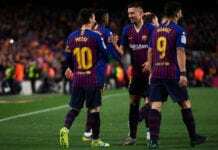 The Catalan club does have a relatively easy rival for the Champions League’s round of 16 this season, they are set to clash against Olympique Lyonnais in France first, and then they will play the second leg at Camp Nou. FC Barcelona was eliminated last season by AS Roma in the quarterfinals, which is arguably one of the most embarrassing defeats that the Catalan club ever got due to the way in which they lost a 4-1 lead from the first leg during the second match. Jordi Alba should be an essential part of this squad if they want to get far this season, they seem to have La Liga completely in control at this point and the Copa del Rey is not doing badly at all either, as they are about to face Leganes next week and they should be fine as long as they use their very best players to turn around a 2-1 goal deficit from the first match. Coach Ernesto Valverde is already considering on using Lionel Messi for this game, a player he rested for the first match and gave him this negative result from last week. As far as another treble goes, anything is possible for Barcelona but there are so many great squads this season that will make this achievement even more difficult to reach. How great of a chance does Barcelona have to win another treble this season? Please share your opinion in the comment section down below.